Stephen T.M. Lukusa has written Groundwork in Shiyeyi Grammar with a Shiyeyi-English Glossary, published in 2002 by Peter Lang. 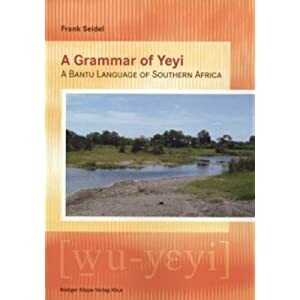 Frank Seidel has written A Grammar of Yeyi: A Bantu Language of Southern Africa, published in 2008. The task is to read these books thoroughly, compare the information with available Shiyeyi texts for consistency and to create study documents to complement the material therein. Comparison and page correlation of Seidel's work with Lukusa's grammar would be helpful. For anyone attempting to read linguistics books, first having a basic introduction to linguistics would be helpful. Indiana University has created an online Intro to Linguistics course that is freely available to read and learn from.